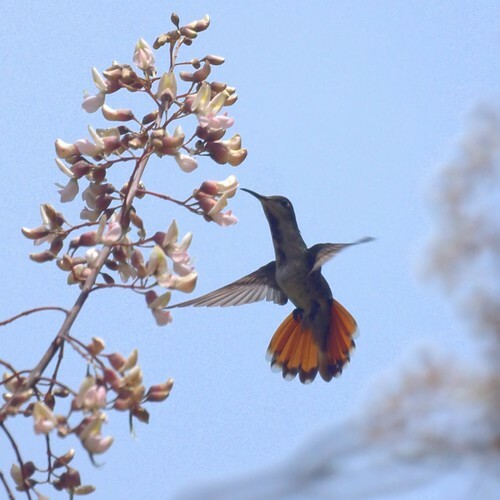 On our last full day in Tobago, we spent some time observing the ruby-topaz hummingbird. 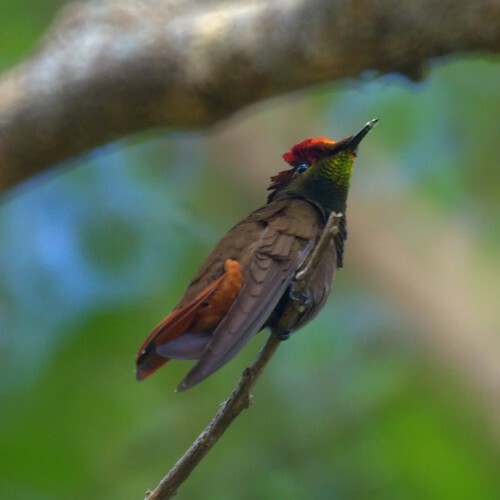 The male, in the top two photos has a spectacular red head, yellow neck and orange tail when the light hits it just right. 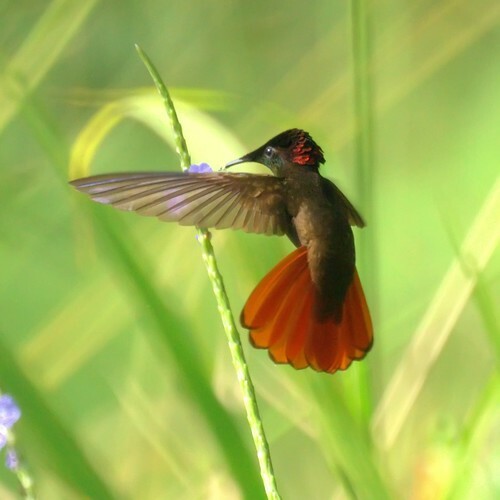 The female ruby-topaz has fewer colors on the head and neck, but just as spectacular a tail.